This is probably the best section of old highway that is still accessible for a few kilometers. 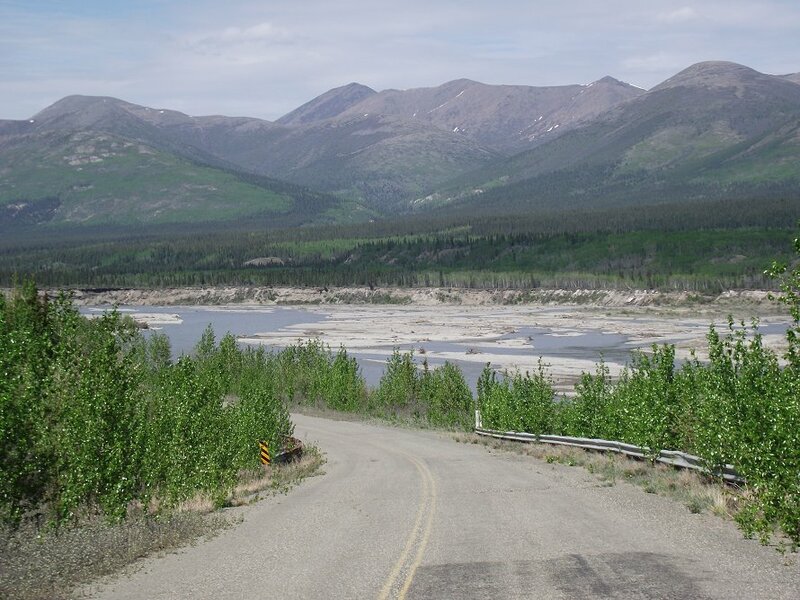 Here it drops down to run along the Kluane River, which was constantly eroding the old road and was one of the main reasons it was relocated back in the mid 1990s. This photo was taken on June 1, 2011 at 4:05pm.